Today’s tech-savvy students find mobile learning is far more engaging than the old chalk board and textbook method. As a result, digital learning is gaining momentum, and schools everywhere are implementing a BYOD (bring your own device) program, allowing students and staff to bring their own mobile devices onto the school wireless network for educational use. Before you allow the mobile devices to begin flooding in, first you need to prepare your school wireless network to support them. Video and multimedia viewing is the most common practice on tablets, because it is such a great way to capture the attention of and engage students. The problem is video and multimedia viewing avidly consumes bandwidth. On top of that, most schools want to connect interactive whiteboards, projectors, student response systems, and video surveillance cameras to the WLAN. That’s why it’s important to consider upgrading to 802.11n which is more reliable, faster, and it supports more users. 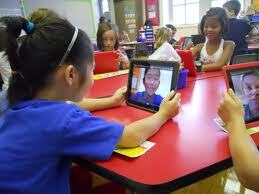 That means augmented bandwidth for classrooms with a lot of mobile devices and multimedia applications. For BYOD implementation, school districts that want to create a single consistent network that combines wired and wireless access across indoor, outdoor, and remote locations should consider deploying an enterprise-grade WLAN. A centralized WLAN architecture that uses controllers with more processing power and 802.11n aps that combines affordability and configuration simplicity might be the best option. Nevertheless, every school and every district will have very unique requirements, so it’s important to choose a vendor that can help you make the best decisions regarding choosing the correct WLAN architecture for your school wireless network. For deploying widespread Wi-Fi to support BYOD or digital learning, schools require a WLAN that’s easy to manage and configure, even across multiple campuses, from a central location to ease the burden on your IT staff. For greater efficiency, you’ll need a solution that can scale. To do this you need a system that is centrally managed so that all of your management, wireless security, and settings are in one place for your entire wireless solution. You want to give your IT staff end-to-end visibility and centralized control to manage mobile users that connect to the network. 4. Identify what applications your network will support. More than ever teachers depend on the reliable operation of rich multimedia applications on mobile devices as learning tools. You don’t want to disrupt engaged students with an unreliable network or video and rich multimedia delays. However, you also don’t want educational video streaming and multimedia applications to interfere with the performance of other applications. By identifying what applications your network will support, whether it be video conferencing or interactive learning applications, you must look for a WLAN solution that is application-aware and can allocate bandwidth based on the specific applications and devices. Threats come from insiders, such as students, as well as outside attackers, so security is a major concern for schools implementing BYOD. For your school wireless network, you want WLANS with role-based access privileges that are tied to a user’s identity. With BYOD, users are mobile so the network must apply policies to grant appropriate access and identify every user and device that connects. With BYOD, educators can utilize so much multimedia and tons of interactive learning applications to get their students more engaged and excited about learning than ever before. By selecting the right school wireless design specialist and following the tips above you can embrace BYOD with confidence. Here at SecurEdge Networks we are experts in designing and deploying the best wireless network for your school. We can assure you that the WLAN for your BYOD initiatives will be fast, secure, and reliable. Please feel free to contact us here with any questions or for a free consultation. You may also find some of our other blogs like 10 pros of BYOD in school wireless networks and How to improve your school wireless network with WAN optimization helpful. Our goal is to be a resource for you.